“Kharkivproject Institute” (Limited Liability Company) originates in 1943 from the moment of liberation of Kharkiv. During the years of World War II the city lost a lot of buildings and constructions. According to the expert prognosis Kharkiv needed more than 50 years to be restored. However, already in 1944 the new general rebuilding scheme for Kharkiv was ready. From this event springs the history of “Kharkivproject Institute” LLC. In those years it was a design and restoration trust “Oblproekt”, which was reorganized in a branch of Giprograd in 1951. In 1955 its structure was added by the creative group of “Gorproekt”, that was the name for the architectural workshops under the jurisdiction of the Chief architect department. 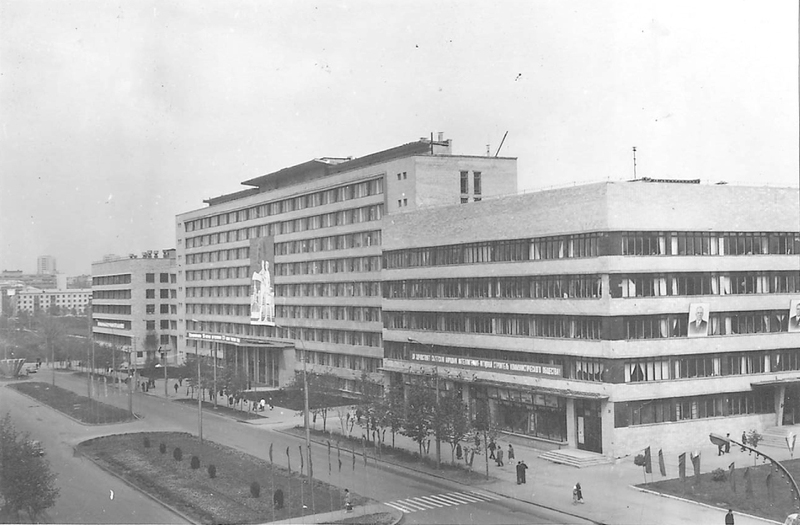 After the successful developing of Kharkiv general planning scheme, the branch of Giprograd was reorganized in “Kharkivproject Institute”, the State design institute of urban planning and building in 1964. Since that time the main area of activities of the Institute was the integrated urban design of Kharkiv. To the authorship of the Kharkivproject architects belongs the general plan of reconstruction, development and building of Kharkiv of the post-war period.